You probably wonder what I've been doing with my time. To be honest, I have days where I wonder the same thing...that, and where in the heck the time goes! Even though I don't have any finished rooms to share just yet, I thought that I'd give you a little update on what's happening at the French Farm House Project. First, the "to do list" for every room looks something like the above photo. Then, in addition to my "day job" and getting two sons off to different colleges in under a week, I've been learning a few new homeowner skills. 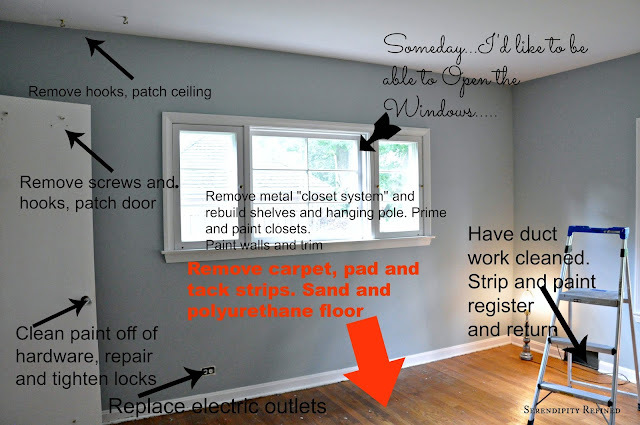 Instead, how about if we talk about home owner stuff....like THIS?! 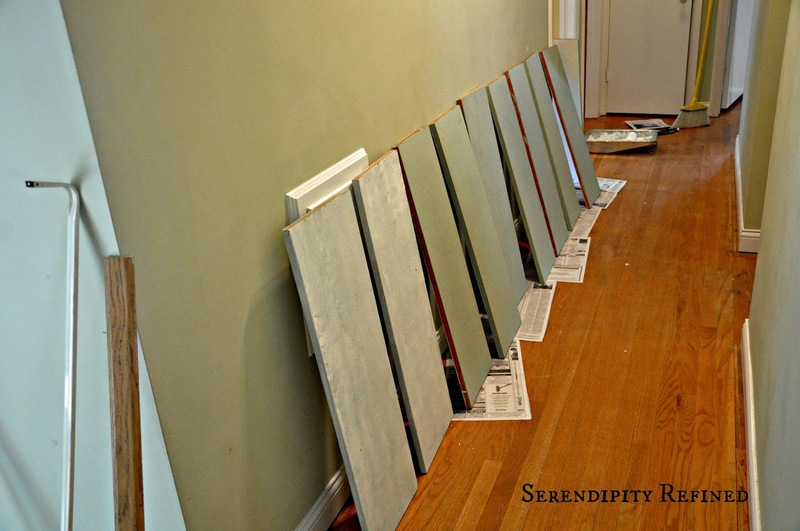 Yep, I learned to sand hardwood floors last weekend and let me tell you right now...floor sanding is not for sissies. I thought, "How difficult can this be? I can do this...right!?" 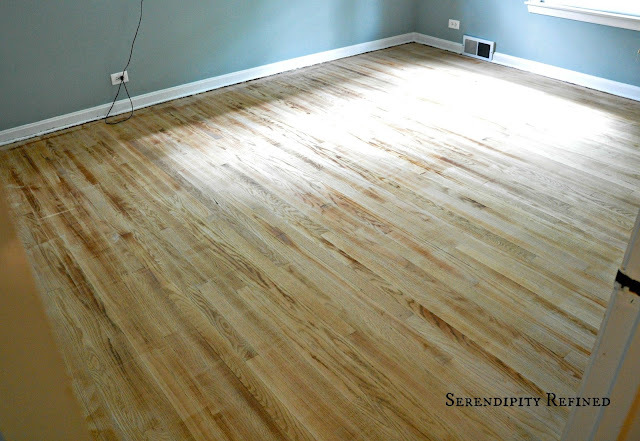 So, we rented the floor sanding machine on Sunday afternoon , threw caution to the wind and went to it. All in all, it went pretty well but I did learn a few things along the way that I'm going to share with you in case you ever decide to take on a project like this. First, get a dust mask...then, disconnect the smoke detector so that all of your brand new neighbors aren't tempted to phone the fire department when the dust level in the house makes the alarm go off. 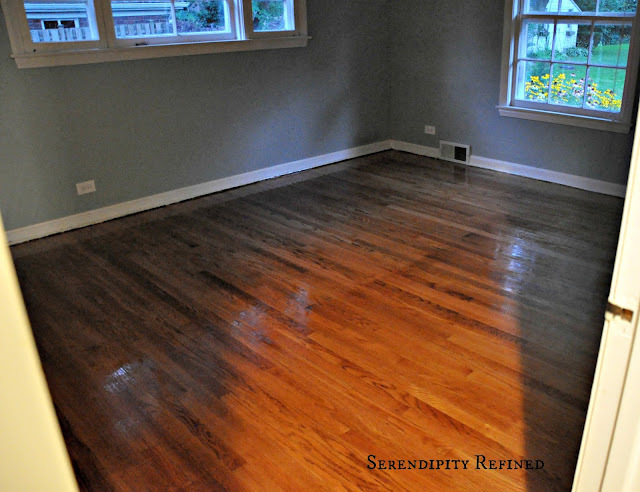 If possible, It's a good idea to seal off the room(s) that you're sanding...or, if you're out of your mind lucky like I am, sand in a vacant home. Also, it's probably not a good idea to sand floors when all of your windows are painted shut and you just had all of your duct work cleaned but if you do, prepare to have a fine layer of dust on everything in the house (including your freshly painted walls and trim, freshly washed windows and freshly cleaned bathroom) when you're finished. Next, always sand with the grain of the wood, trust me, it takes a lot less work and is easier to get a straight line if you just follow the boards...even if you think that it would be easier to go the other way...don't do it. It's good to realize that floor sanding equipment is heavy and will drag you along behind it if you don't show it who's boss right up front. It helps if you push the machine (like a lawn mower) rather than trying to pull it backwards toward you. I figured out that it probably has something to do with the physics of the belt going in one direction and you trying to pull against it in another direction. It also may involve math. Sanding and refinishing floors is a multi-step process. 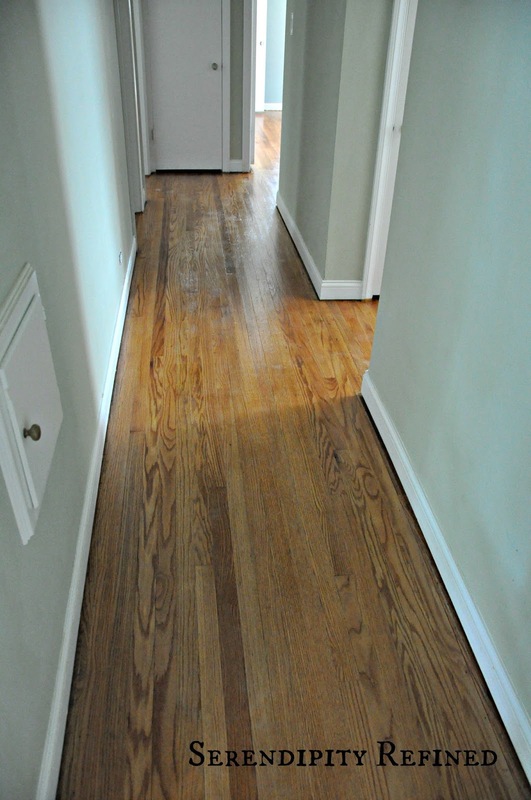 The floors have to be sanded several times with sandpapers of differing coarseness...also referred to as "grit". The higher the "grit", the smoother the finish. 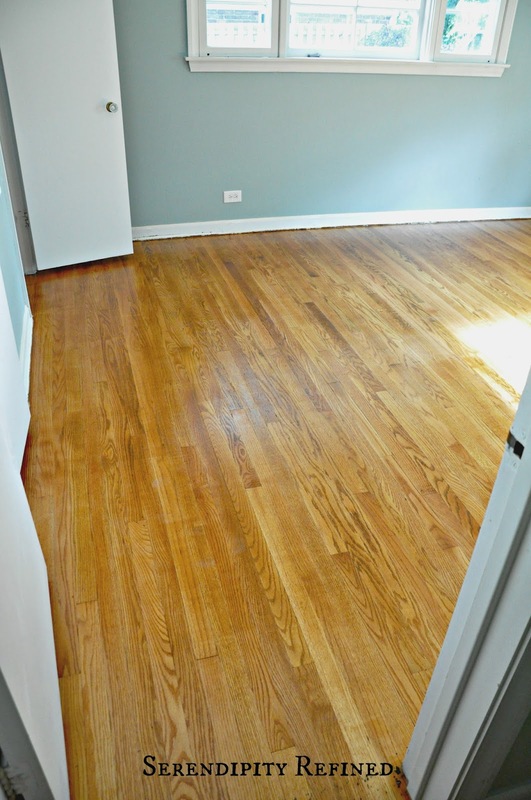 Low (coarse: 60 to 80) grit takes off the existing finish and high (fine: 120 to 180) grit makes the floors smooth so that they will accept the new finish. 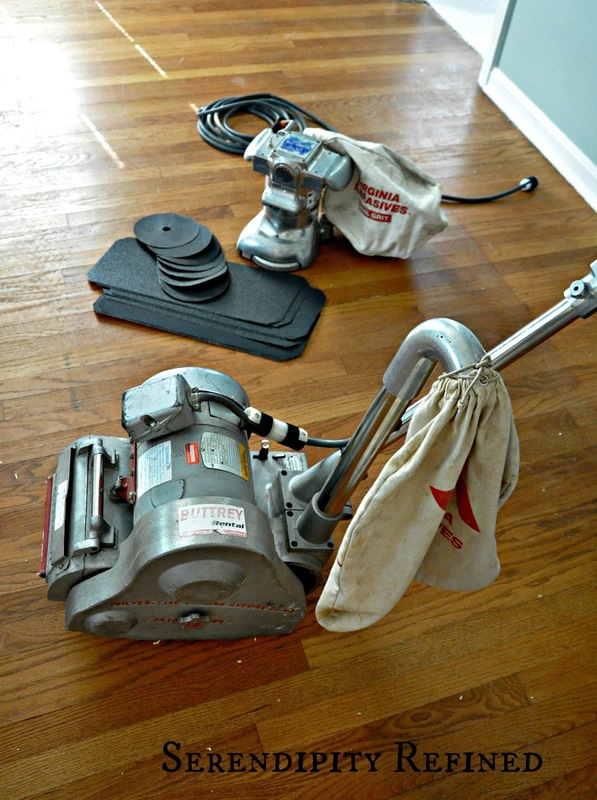 You'll also need to use a smaller machine to sand the corners, the closets and any other small areas. This takes time (and strong arms). If your arms get tired from using the "small" machine from the rental company, you can always resort to your handy quarter sheet palm sander but realize that it will take an eternity (and approximately 30 sheets of sand paper) to go around the perimeter of one bedroom, a few closets and a hall. Finally, when applying polyurethane, no matter what they say, "LOW VOC" is still stinky (see prior comments about windows painted shut). In hindsight, I'm not certain if I'd do it again. It's messy, and time consuming. 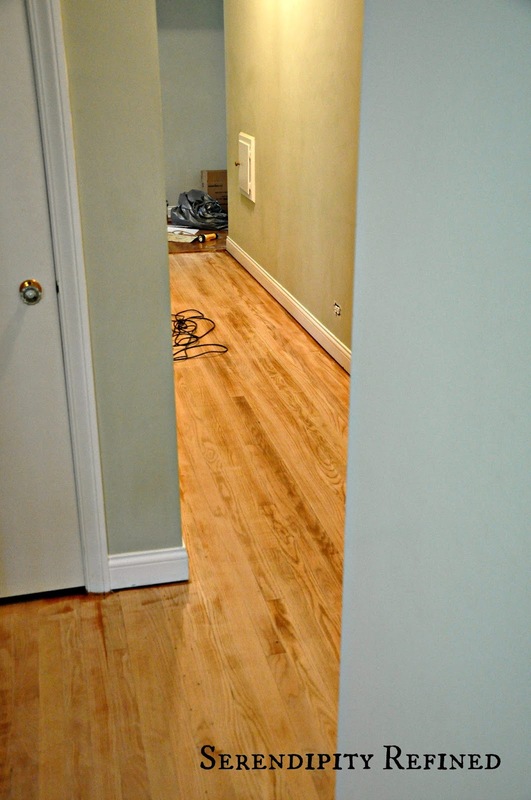 The floors turned out okay but it took almost a week and I couldn't do anything in that end of the house while they dried and cured. 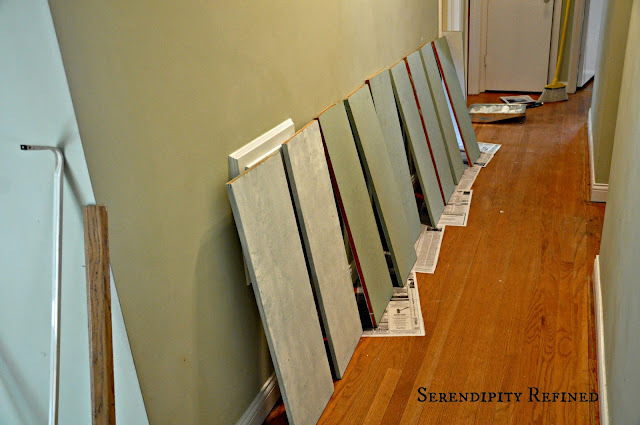 Next time, I'll leave sanding the hardwood floors to the pro's and stick to something that I know how to do...like priming and painting what feels like a hundred shelves for the closets! 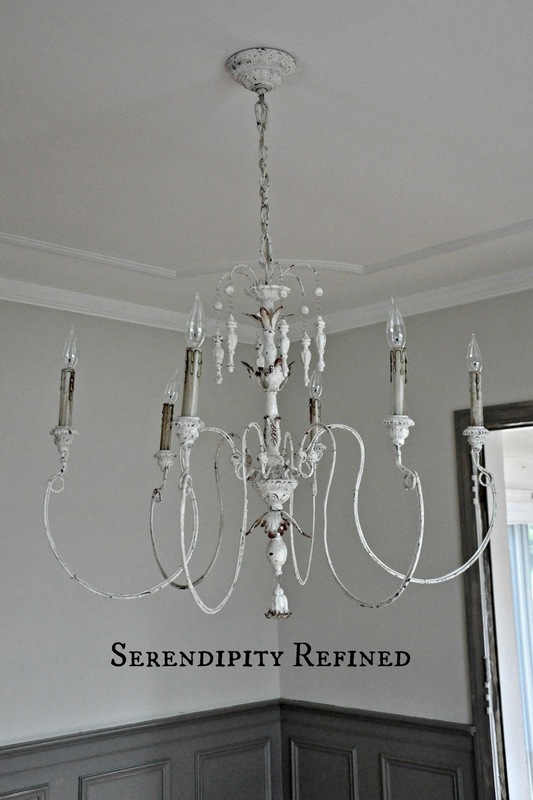 Or hanging a pretty new chandelier in the dining room!